Star ratings on refrigerators indicate how energy efficient an appliance is. More stars mean better efficiency and ultimately more savings; thus, a 3-star refrigerator is more productive than the one with a 2-star of the same capacity and type. South Korean electronics giant, Samsung offers a wide array of refrigerators with 3-star ratings to help you lower your energy bill and lead a more environmentally friendly lifestyle. Whether it's a compact 192-liter single door fridge with an attractive floral design or a hefty double door unit with a 670-liter capacity and a sleek, unobtrusive look, Samsung has 3-star refrigerators for varying needs, preferences, and budgets. Below are 88 fridges with 3-star ratings by Samsung. All prices are updated as of 20th April 2019. 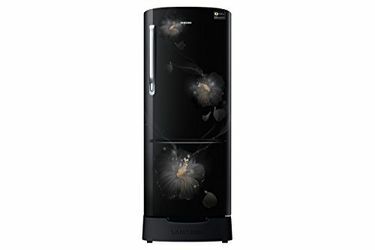 Browse through the Samsung's selection of 3-star refrigerators with ease at MySmartPrice. Use category filters to narrow down your choices by price, type, defrost type, and capacity. We believe online shopping should be easy and hassle-free; that's why we've collected essential product information from online stores such as Amazon, Flipkart, and Croma and put them all in one place. Compare prices at a glance and read reviews without having to visit separate websites. 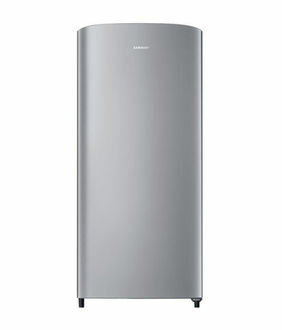 You also get to earn cash back when you purchase your Samsung 3-star refrigerator via MySmartPrice.